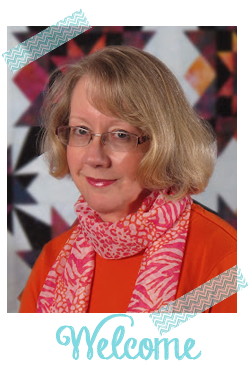 52 Quilts in 52 Weeks: Yarn! more Yarn! OK, so there are yarn shops in Texas. One fairly close! I promise a full report on Inskein Yarns soon. But first, I still have some yarns to share that are already in the stash. Loopy Ewe has the most fun "you shop here too often" program. I qualified for the "Welcome to Denver" award. 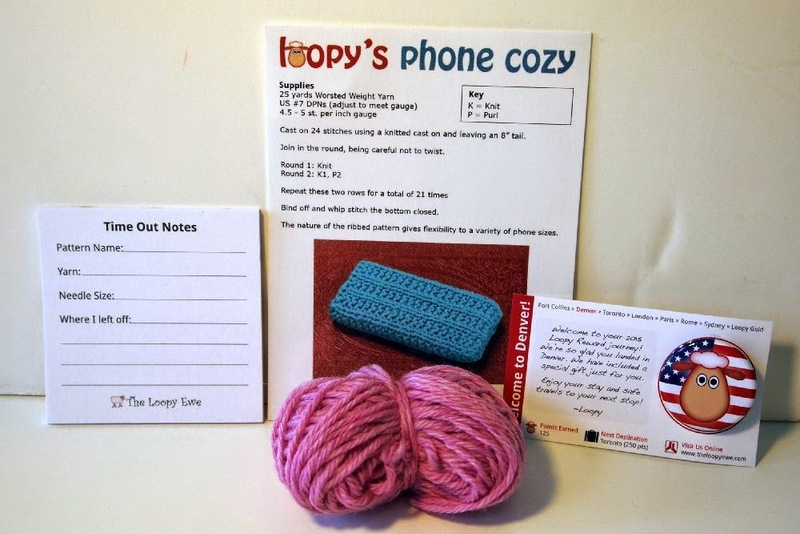 A little kit for a cute phone cozy, plus a pad of "Time Out Notes." A great idea to help keep track of where I leave off on my multiple projects! Ewe Count in Cheyenne had a sample made from this Trendsetter Yarn. 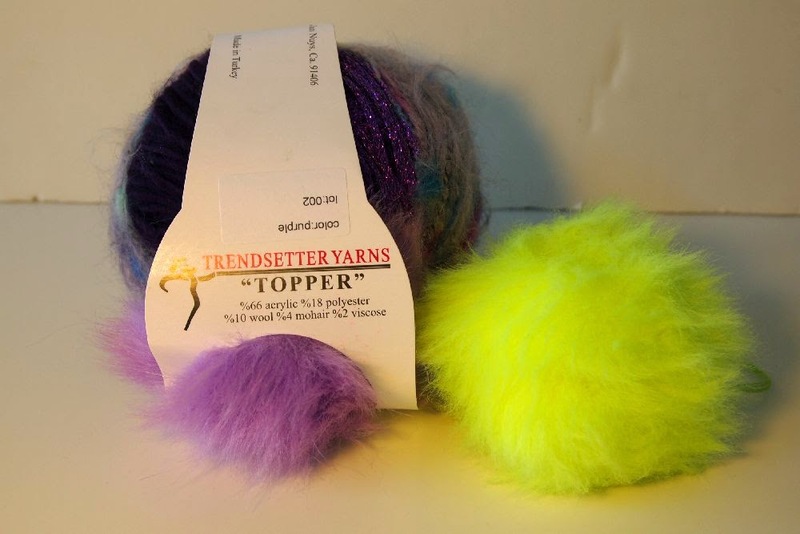 "Topper" is a fluffy, ready-made pom pom that will be perfect for granddaughter hats next winter! 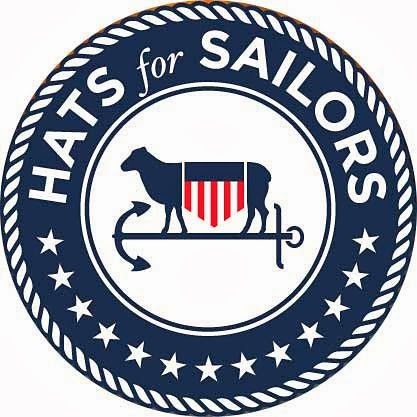 Rather than make you scroll through twenty photos this week, I piled all the new "Hats for Sailors" yarn and took one photo. My favorite is "Copper Corgi" in the upper right -- exactly the color of My Little Sailor's corgi, Duncan! 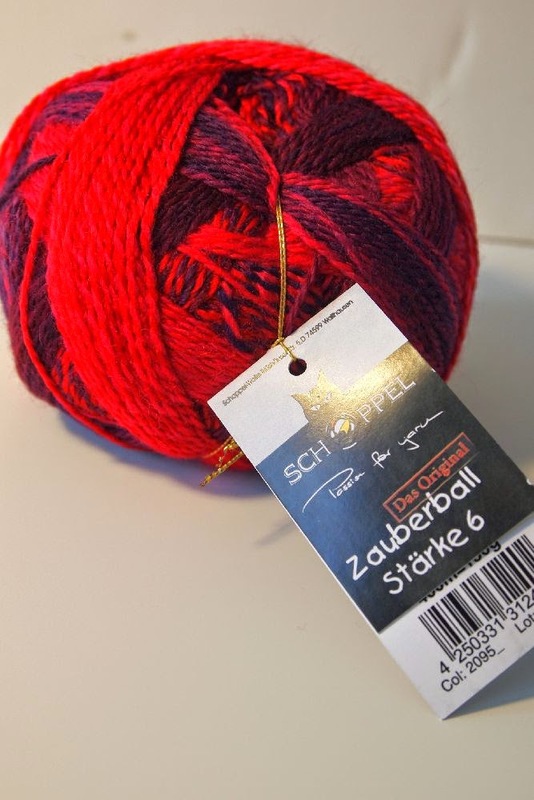 I knew I wanted a Zauberball 6-ply yarn, but couldn't remember for what! 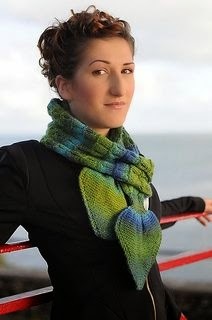 Luckily, Ravelry came to the rescue and I had Brenda Dayne's "Neckfish" in my queue. 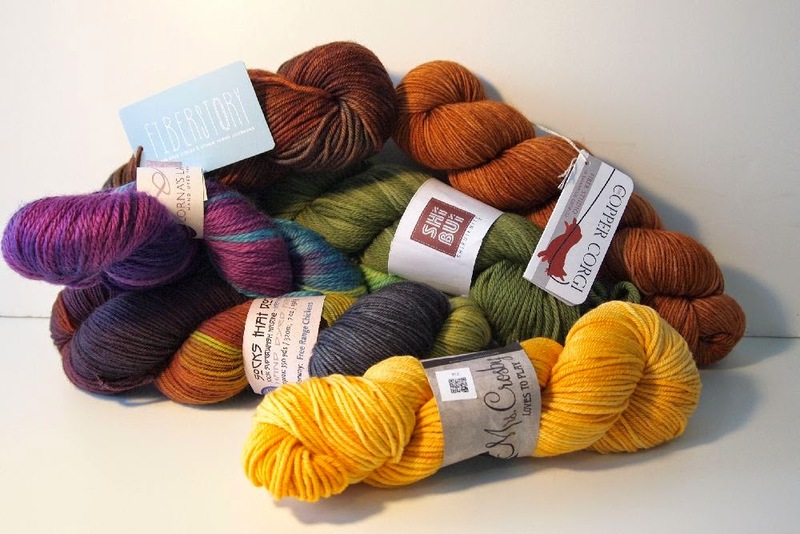 Stay tuned for the Texas Yarn Report!